Halo cars have always been a big thing in the auto industry, largely because they represent the pinnacle of what an automaker is capable of. There’s always been room for them in the business, and there will always be room for them for as long as pride and vanity remain true to a company’s beliefs. So it is surprising, maybe eve a little refreshing, to see a company boss not only dismiss the notion of halo cars, but outright shoot down any plans for his brand ever making one. 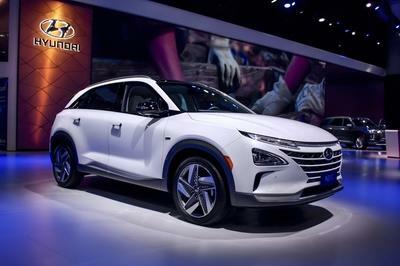 That much was made clear by Genesis global brand chief Manfred Fitzgerald, who promised that Hyundai’s new luxury brand would be all about incredible design, top-class luxury, and unrivaled customer service. Speaking with Motoring, Fitzgerald made no bones about his disinterest in developing a go-fast halo model, calling them meaningless to the kind of customers that Genesis wants to bring into its fold. Or in his own words, “if you need a halo vehicle and all that, that’s not our spiel.” Instead of going down that route, Fitzgerald wants Genesis to focus its attention on making “great products” that its customers will appreciate. Ironically, Genesis is setting its sights on companies like Mercedes-Benz, BMW, and Audi, three car brands that have their own histories with halo models. Then again, these brands are also established enough to build halo models without compromising the integrity of their core lineups, whereas Genesis is still trying to lay a solid foundation for itself as Hyundai’s new luxury brand. If for nothing else, you have to appreciate Manfred Fitzgerald’s candor and for going out on a limb with his statement. It may end up backing him into a corner down the road, but as of right now, it’s absolutely the right to say since Genesis is still a relatively new brand. At this point in its life, the number one objective is to build up the brand with models that embrace the company’s goal of prioritizing design, luxury, and customer service above all else. Only with this approach can it build up its business and establish itself as a viable alternative to established brands like the previously mentioned three German automakers, as well as the likes of Infiniti and Lexus. That should be priority number one for Genesis and that’s exactly what Fitzgerald is alluding to when he said that his number one goal is to “create great products” that people will love. He’s right for saying it, but the question now is whether he’s going to end up eating his own words down the road. 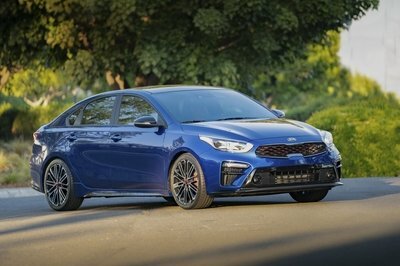 What happens if Genesis is established enough in its own right that it has models that can legitimately compete against Lexus and Infiniti models? Surely, there will come a point down the road that a Genesis halo model will be brought back to the table so what happens then to Fitzgerald’s comments today? The obvious answer is the changing winds in the business could eventually compel Fitzgerald and other Genesis execs to change their minds once it can make a good business case for a Genesis model. He won’t be wrong if he reversed course should that time come since a lot of the company’s current competitors have been successful developing their own halo models in the past. Audi’s R8 supercar, for instance, is now in its second-generation run after being introduced as a halo model close to a decade ago. Even the impending growth of hybrids and electric cars have not dampened the mood towards these halos, so it’s going to be interesting to see if Genesis keeps up with this rationale down the road.